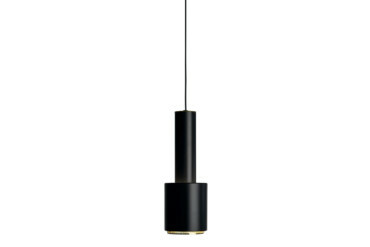 Karoliina Vitikainen is refreshingly direct. 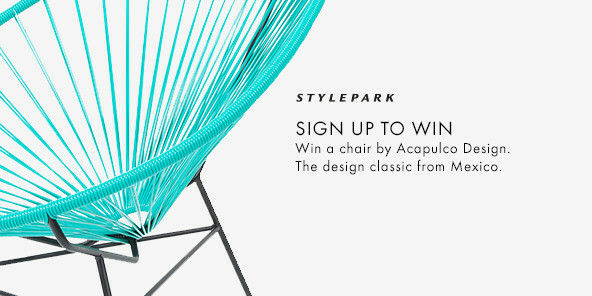 For her, architectural critique is the result of tough practical tests, and they can run for more than half a century. We’ve reached the very top. The view is south/southeast. Round us nothing but airy pine forests, bar a few bright birches. 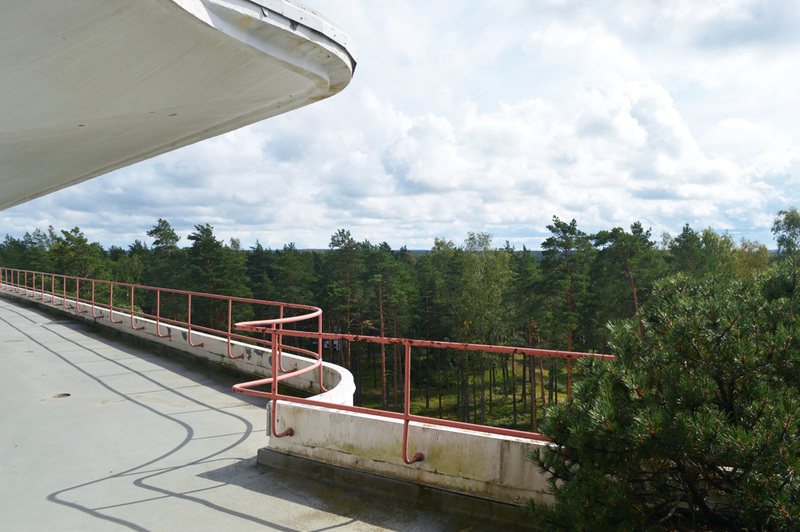 The terrace runs the entire length of the wing for patients at the sanatorium Alvar Aalto designed in Paimio, a small city in southwest Finland. It’s about 25 kilometers from here to Turku, where the Aurajoki flows into the Baltic and the ferries ply their way in from Sweden. 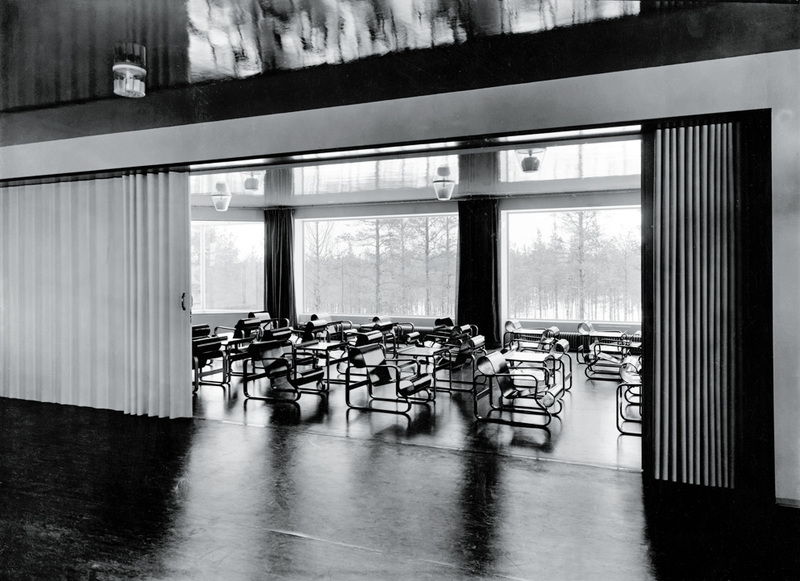 Aalto won the competition for the rambling ensemble for the tuberculosis sanatorium back in 1929. In June 1933 the ribbon was cut for the white building with its various wings and seven storeys; here and there its strict grid of a façade is rendered less relentless by red or green sun shades. Even on the sun terrace in this Finnish version of the Magic Mountain there are still troughs filled with earth in which baby pines are growing. There was a time, as old photographs show, when up here those who had fallen prey to TB lay carefully wrapped in blankets or with their calves and feet swaddled in bags lined with fur – outside on iron recliners to get their daily dose of fresh air. A lot of light, air and the warming rays of the sun, alongside selected nutrition, special hygiene and a lot of peace and quiet were more or less the only forms of treating the pulmonary disease – until Fleming discovered Penicillin. The treatment method defined the architecture: The rooms in the wing for patients have especially large windows to let in as much sun as possible. The bed frames are not white, but a friendly turquoise. 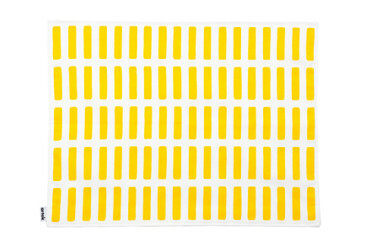 The floor in the stairwells shines in sunny yellow. Aalto only messed up when it comes to the wall cupboards: They reminded the patients overmuch of coffins. In fact, light and air predominated throughout the ensemble as all the fittings and furniture had to be plain and hygienic. 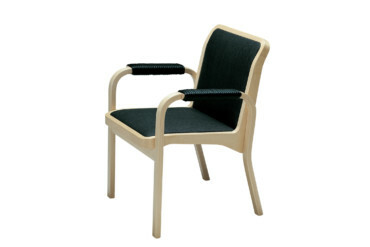 Even the “Armchair 41”, the Paimio chair (Aalto presented the design to the developers in April 1932) was meant to ensure the patients sat optimally and breathed easily. 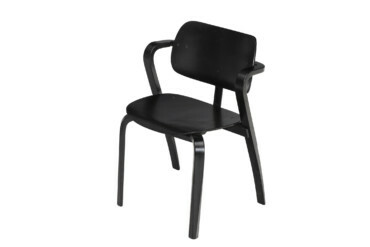 An irony of design history: When the sanatorium was later turned into a hospital all the Paimio chairs were sold for a pittance or thrown away. Which is why today you can only view one original in Paimio – they had to buy it back. Today, at a time when architecture is ever more frequently judged during the competition phase on the basis of renderings and then later on images glossed up using digital image processing programs, it’s great to hear about how some parts of a building proved their worth in the usage, and other parts did not – even if the edifice in question is a fixed star in the Modernist architectural history heavens. Where it is not just design proposals, architecture is after all the practical art of creating space. Meaning you have to explore it physically and if possible with all the senses. The impression you get from plans, models and photographs is simply per se always incomplete. Only by wandering from one room to the next and digesting the impressions will you get a more realistic overall idea and not be seduced by the deceptive gleam that our present age with its devotion to images so likes to celebrate. Here, seeing things for yourself is a great antidote. You swiftly perceive what qualities a building actually has and where you have succumbed to the wrong impressions. 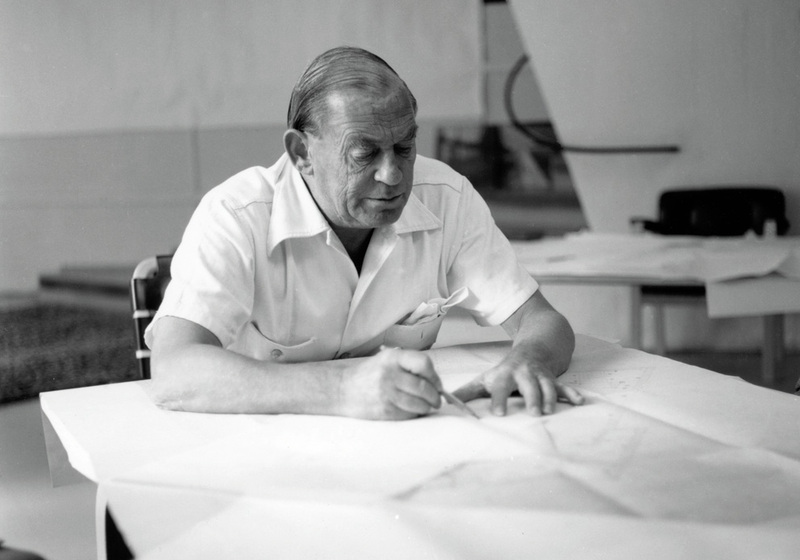 In Paimio things are pretty much clear: Alvar Aalto didn’t get everything completely right, but he certainly didn’t just make mistakes. In the “Taverne”, the dining room attached to his studio, Alvar Aalto is said always to have sat at the back in the corner toward which the room (it is devised without right angles) seems to drive as if it were its vanishing point. 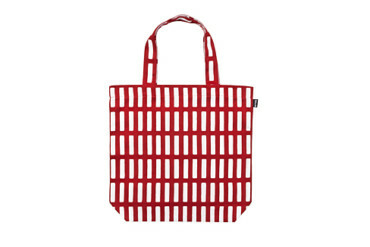 Now Tommi Lindh, Director of the Alvar Aalto Foundation, and Hanna Pärnä, are standing in front of the built-in kitchen to welcome us, whereby Hanna’s coral-red striped dress fits the architecture perfectly. They will take us on a tour of the studio, which was built in the 1950s, and then take us over by foot to Aalto’s home, which was constructed some 20 years earlier. We are a group of journalists from Germany, Austria and Switzerland whom Artek has invited to tour Aalto’s trail in Helsinki and Turku on the occasion of the 80th anniversary of the company’s foundation. The “Taverne” is in the basement but thanks to the slight slope of the plot is level with the garden, to which there is an exit. It is quite a low room and from the ceiling hang illuminated sails; curtains with red-and-white checks complete the rural impression. Yet it seems neither dark nor confined. And on entering it you invariably find yourself gazing into its depths. To the left, where a corner juts out and blocks the view, and to the right along the strip of windows there are benches along the wall. 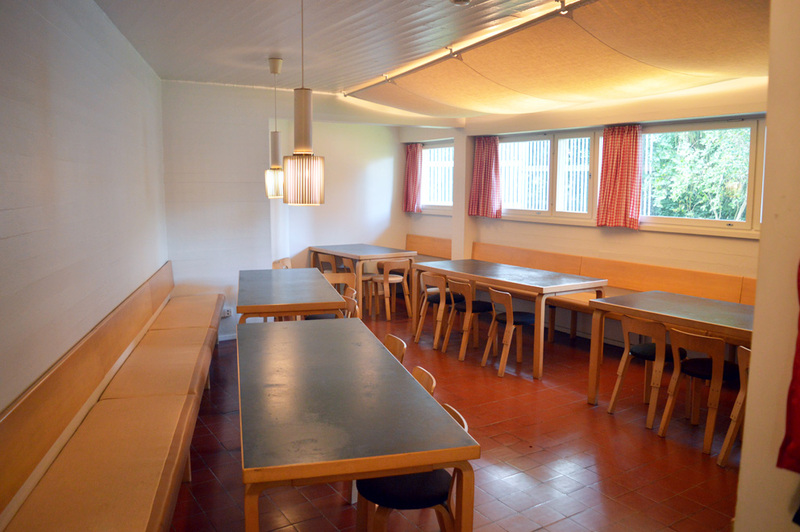 In front of which are four tables, which were of course designed by Aalto, too. The space at the very back, the place where the room is narrowest, is shielded on one side by the protruding corner and on the other by a pilaster between the windows. Two benches face each other, and the table between them is smaller. So this is where the boss sat. On entering the room, anyone immediately saw if he was present. And no one had to brush past him to get their food, so there really was freedom of movement. This in itself shows how seriously the humane Modernist Aalto took proxemics, how skillfully he combined social structures with the dimensions and layout of a room. Essentially, the spaces he designed were and are always stages. On entering them you don’t find yourself having an elevated status, but guided as if by an invisible hand. Basically, it’s a bit of a paradox: Aalto’s spaces and sequences of rooms seem theatrical and yet completely matter-of-fact, indebted to tradition while still decidedly modern. 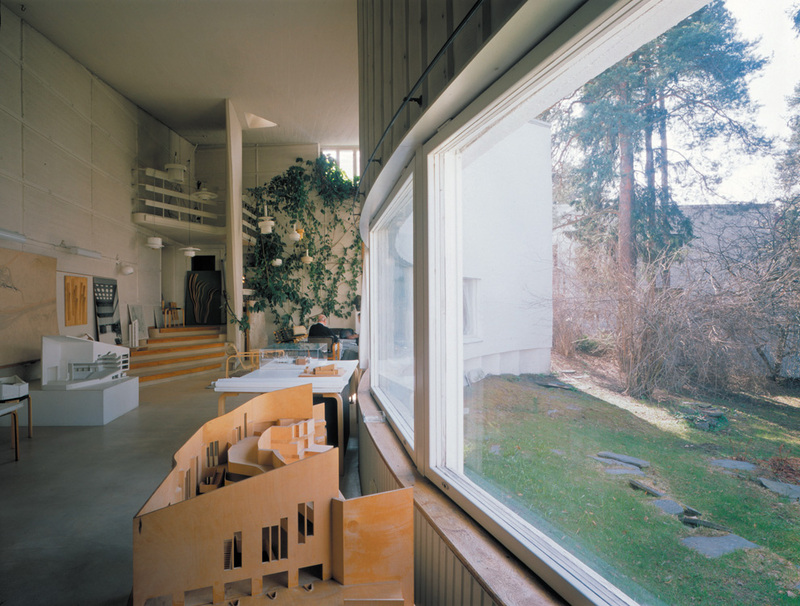 In his studio he opted for large windows and strips of windows in order to make certain the building was suffused by nature and the seasons, a building that with its mix of concrete, whitewashed bricks, wooden paneling painted white, bright birch and careful use of lighting perfectly embodied the atmosphere one associates with Aalto’s synthesis of regional construction traditions, Bauhaus and Japanese simplicity. 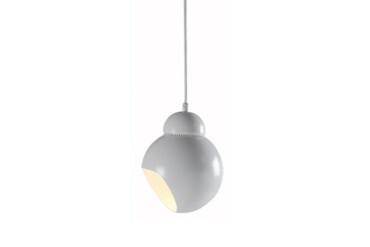 In the large office with its characteristic concrete braces bearing the ceiling aloft, Hanna Pärnä admonishes us: Quiet! Listen! There’s a bracket on a cupboard for plans, devised solely to create a grab-rail in an Aalto building. One day, Hanna Pärnä tells us, it disappeared. Had simply been detached, stolen. 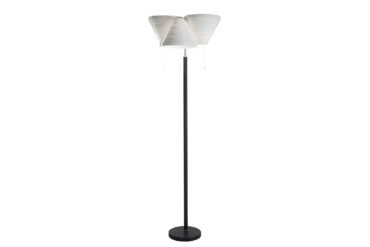 It cropped up years later, namely in an auction house catalog. And diplomats had to intervene to ensure that it returned to Finland. One of the lasting impressions of Alvar Aalto’s architecture is the light touch with which he shaped rooms and instilled them with rhythm, without their seeming overly staged or vain as a result. In fact, one could say that his rooms create a theater of the everyday without forgetting the functions and with the theatrical triumphing over everyday life in and with these spaces. 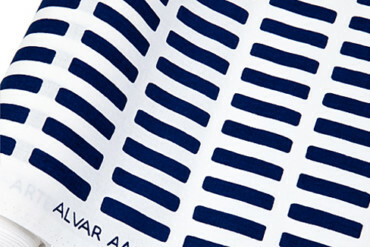 Added to which, Aalto was a master of the detail. And in remote Finland he was by no means cut off from the debates of the day, the media developments of the age. Small wonder than that in summer films were screened in the small amphitheater between the buildings. Half a kilometer from the studio lies Alvar Aalto’s house, built in 1935, a small house constructed from skillfully interlocking cubes with an unassuming and slightly hidden entrance that only opens out toward the garden. 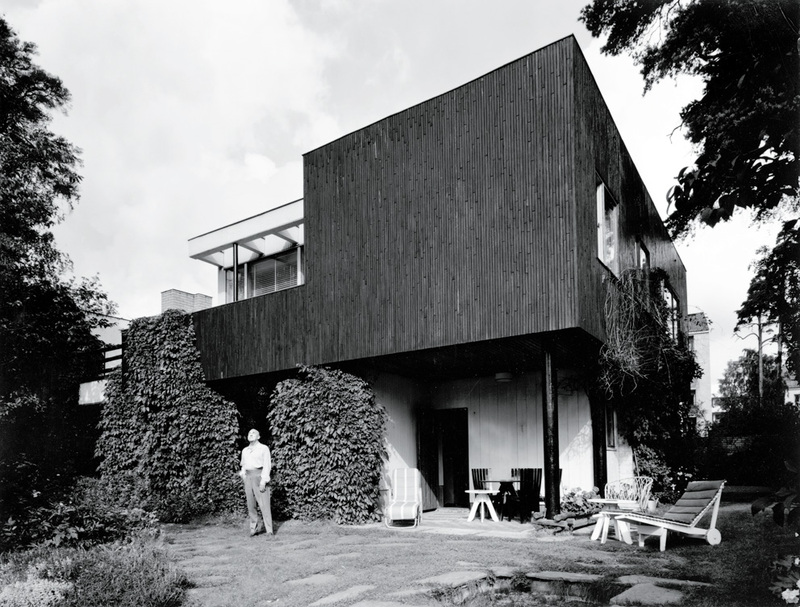 It was the first Aalto proposal for a private residence to be realized and Aalto initially also had his office in it. Here, he tried out lots of things en route to his idea of a warm form of Modernism with a human face, of rooms where you immediately feel at home. Almost everything here is typically Aalto. The living and dining room is one step lower than the office. Next to the grand piano in the living room stands a one-off, a small ashtray table made of circular metal discs that could even function as an architectural model. On the wall next to the fireplace hangs a sheet by Le Corbusier, opposite one by his friend Fernand Léger. 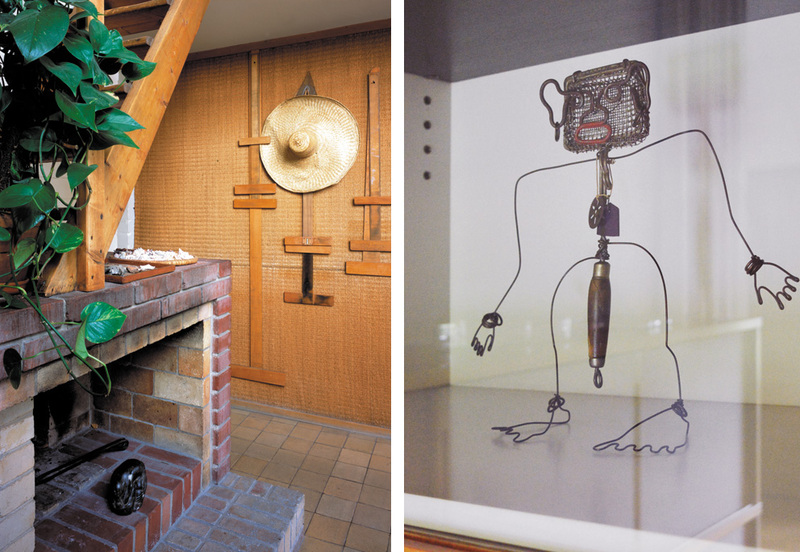 And in the dining room cupboard, designed by Aalto’s first wife Aino, there’s a funny portrait figure created by US sculptor Alexander Calder for his friend Alvar. Ostensibly, so Hanna Pärnä explains, Alvar actually thought he recognized himself in it. If one transitions from Aalto’s sanatorium in Paimio to his first office and residential house in Helsinki’s Munkkiniemi district, then you not only leap through time from the end of the 1920s to the mid-1930s (and leapfrog Aalto’s second design, for the library in Viipuri, realized in 1933). You also see how his architectural idiom became increasingly refined and how masterful he became in handling shapes and materials. At the same time, there’s a change to be discerned. The somewhat purist gesture of a still slightly strict, “white” Modernism gives way to a milder collage of different materials and textures. While the footprints and volumes remain relatively conventional, there is a clearly stronger lightness of touch. 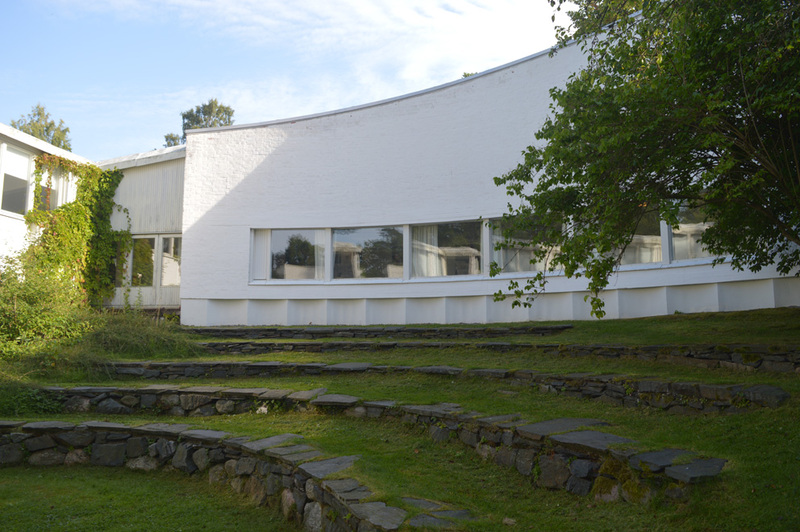 Unlike the refined simplicity with which Aalto designed his own studio house 20 years later, in 1954-5, the ground plan and interlocking of the levels in the residence seem almost restrained. If next to the living room you step up through the sliding door into the office (along with its small library, hidden behind the fireplace and up its own set of stairs) then what you notice is: Much here seems Japanese, starting with the proportions through to the materials used to cover the walls and the parapet in the narrow gallery. Having wandered round the house and studio room by room, then Kenneth Frampton’s notion of “critical regionalism” still seems appropriate. In this classification, which steps back from individual cases, the decisive features of Aalto’s architecture tend to get lost: circular skylights of different diameters in the bathroom, a walk-through wardrobe; narrow, wall-to-ceiling unit cupboards in the corners; stairs that ingeniously reach out into rooms; a concave rhythm to the skirting board under a strip of windows; rooms that bid farewell to the rectangular volume of shoe boxes – all of these are carefully construed and culturally connoted design elements that only as a whole allow us to grasp Aalto’s sense of architecture. Frampton is right when he says “Aalto’s works always involve an extremely complex synthesis as regards their cultural references and meaning, too.” This is, no doubt, one of the reasons why (thanks to synthesis) Aalto succeeded in evoking the spirit of Finnish Romanticism and its deep crafts roots without therefore being less modern and international in thrust. Each room has its own shape and volume, each intrinsically generates its own perspective and rhythm. 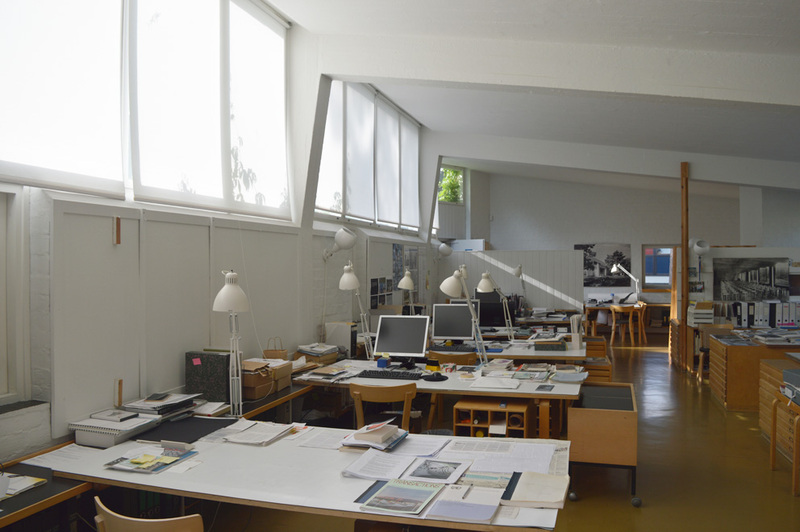 This is especially noticeable if you stand in Aalto’s own office in his studio house of 1954-5. The room opens out in a broad arc toward the garden and the outer wall there that embraces the amphitheater, a wall given greater intensity and rhythm by the sequence of windows. The set of windows on the rear wall, starting high and staggered, a set as rational as it is striking, offers a view of the sky. The staircase that spirals up in the room to the gallery from which Aalto liked to hang his luminaire designs to see what they looked like, gives the entire space the feel of a spacious, playful and yet definitely modest stage. It is also astonishing to see with what matter-of-factness and circumspection (is this perhaps typically Finnish?) 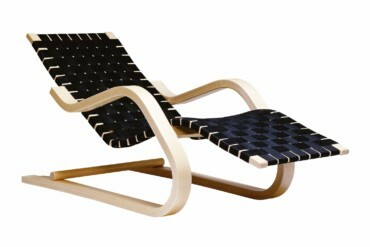 Aalto’s Modernism appreciates craftsmanship. Even where those crafts are brought to bear through industrial production processes their qualities are masterfully preserved in the face of the mass standardization of the 20th century. 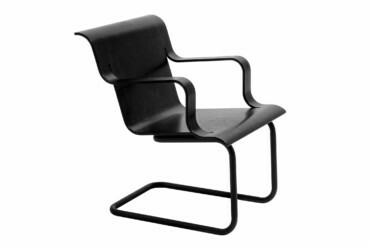 If Aalto rejected one thing, it was bureaucracy and profit maximization to the detriment of quality craftsmanship. A simple sign at the entrance says: Artek Oy. 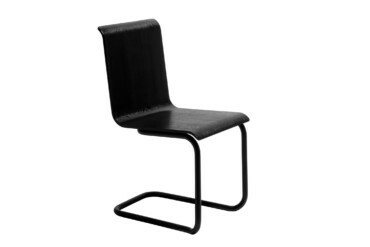 As in Artek Ltd. Just how flexibly Aalto handled standardized processes is something you realize at the very latest when visiting the factory where his furniture is made. 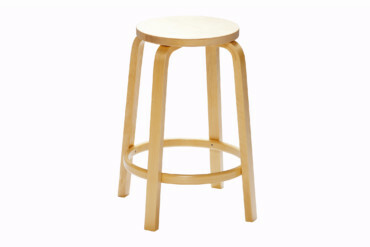 There are 24 steps involved, for example, in turning part of the trunk of a Finnish birch into the L-shaped foot for a “Stool 60”, an Aalto classic. Not much has changed in the factory outside Turku erected by Otto Korhonen, who from 1929 onwards worked together with the Aaltos. 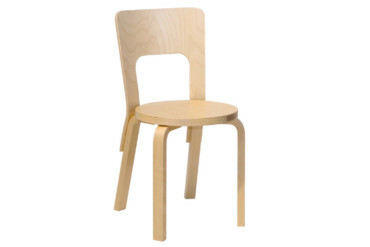 Alvar Aalto and Otto Korhonen spent three years jointly developing chairs with seats and underlying frames made of wood – as an alternative to tubular steel. 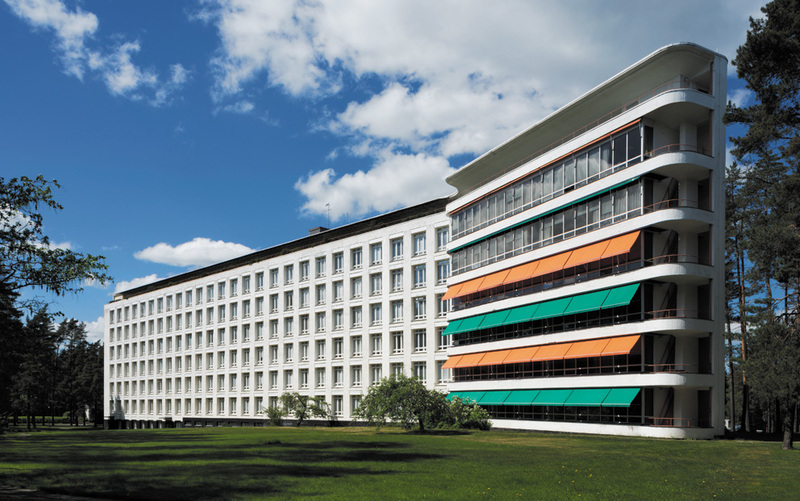 Korhonen’s factory was awarded the large-scale contract in 1932 to furnish the Paimio sanatorium. Otto Korhonen died in 1935, the same year in which Alvar Aalto, his wife Aino, art historian Nils-Gustav Hahl and Maire Gullichsen, art collector, art patron and wife of an industrialist, founded Artek. 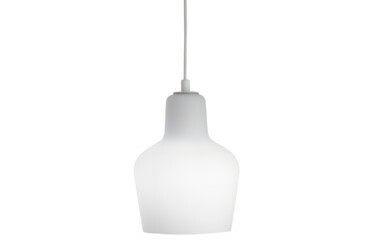 There were plenty of reasons to set up their own distributors: First, the idea was to be independent of other manufacturers when furnishing buildings they designed; second to market Aalto’s furniture and glassware themselves; and thirdly, but by no means least, to arrange cultural events and exhibitions of art, crafts and photography as well as publish books and a trade journal, all in a bid to promote modern interior design. 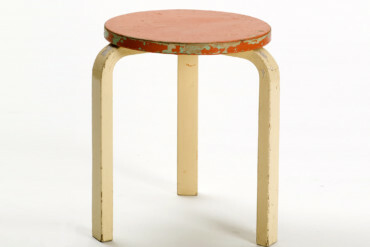 The name itself spells out the agenda: Artek is made up of “art” and of technology, or “teknologia” in Finnish – and in this way, quite in keeping with the Bauhaus and International Style, attested to Aalto’s wish to meld art, technology and function in the spirit of a new way of living. 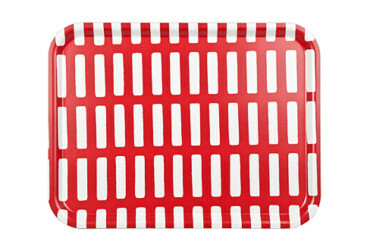 Vitra took over Artek in 2013 and since then the factory has simply been called “a factory”. Not that much has changed. There are a few new machines and a robot that helps do the polishing. But the emphasis is still on crafts processes. Outside sawn birch trunks lie stacked in open sheds to dry for 12 months; Riku Rehell, the factory’s Product Operations Manager, explains that the trees, which tend to be about 50 years old, are felled in winter, when the wood and the ground are frozen solid. Otherwise the damage would be too great. Inside, in the works hall, there’s a pleasant scent of freshly sawn birchwood. 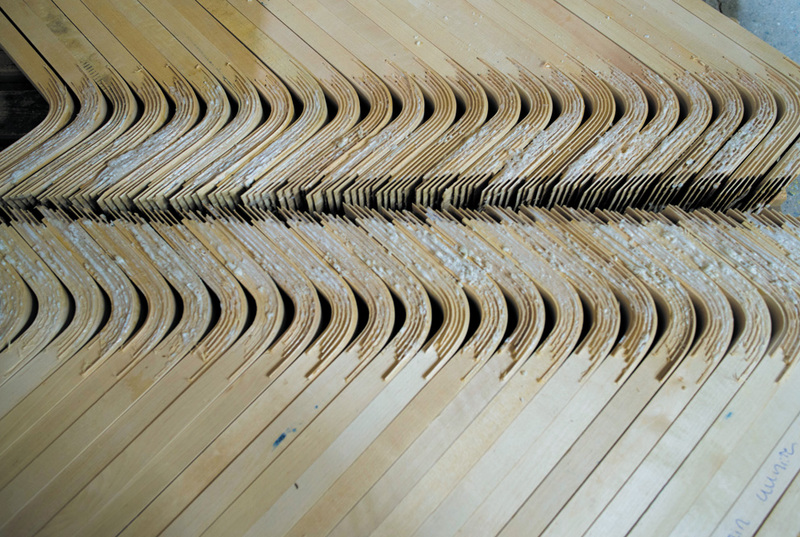 Veneers, blanks, and pre-cut or ready-bent chair and table legs in L-shaped lie in stacks. You can photograph to your heart’s content, the only no-go being the machine that uses the system Aalto developed to bend straight planks into rectangular legs for chairs or tables – something once done by hand. To this end, several slits are sawed into one side of squared timber, filled out flush with strips of veneer and using glue, molds and heat bent into rectangular shapes. 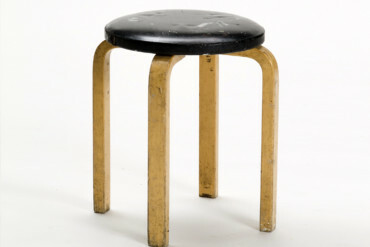 After only six minutes, a set of several legs has the shape they need to be used in Aalto’s famous stool, or in chairs or tables. On the warehouse shelves behind the hall there are pressing molds used to produce Konstantin Grcic’s “Rival Chair”, for example. Other machines are used to press-mold several sheets of veneer into a seat for the “Armchair 42”. 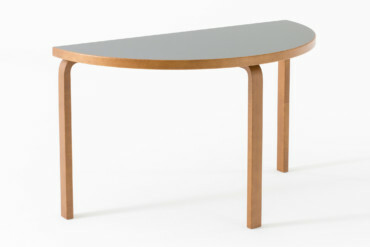 Even the laminate used for the sandwich construction table tops is as thick as it was in Aalto’s day as it simply feels better to the touch. 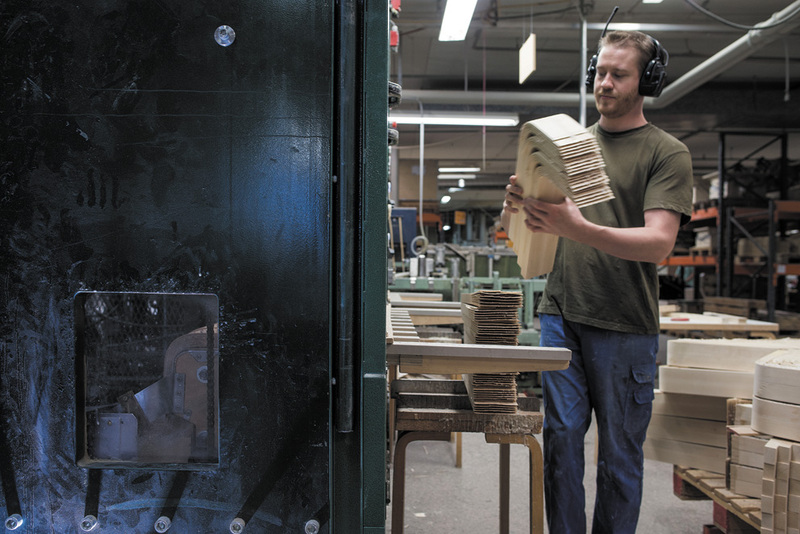 Aalto’s entire furniture program is made here, in different versions and colors. While we are visiting the staff is busy processing a large order from Japan for 2,500 stools. Large parts of Helsinki seem spacious and modern. There are many buildings with flat roofs, with broad streets and lots of green in-between. And you’re never far from the water’s edge. And downtown there are still many 19th century buildings. In the basement at Pieni Roobertinkatu 4-6 in what was once a garage there are stack of Finnish design classics spread across some 700 square meters of space: This is the residence of “Artek 2nd Cycle”, half archive and museum collection, half store for vintage furniture (complete with worldwide mail order service). 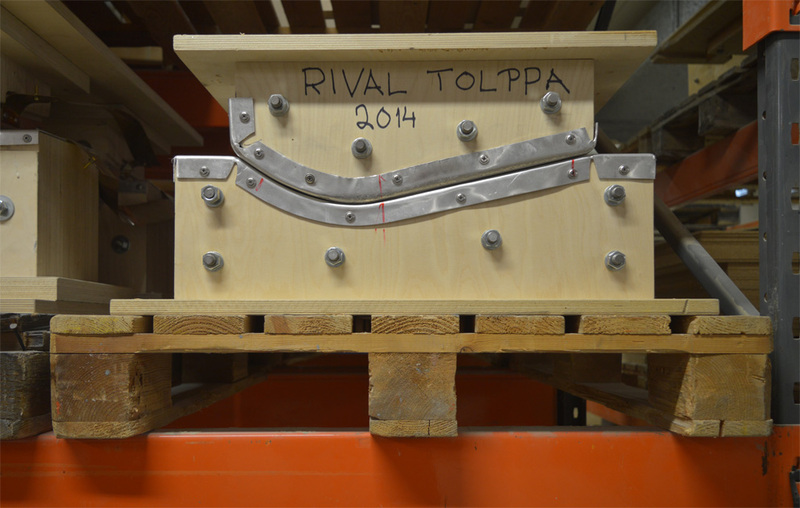 They buy in Aalto furniture from all epochs and, if necessary, carefully restore them. 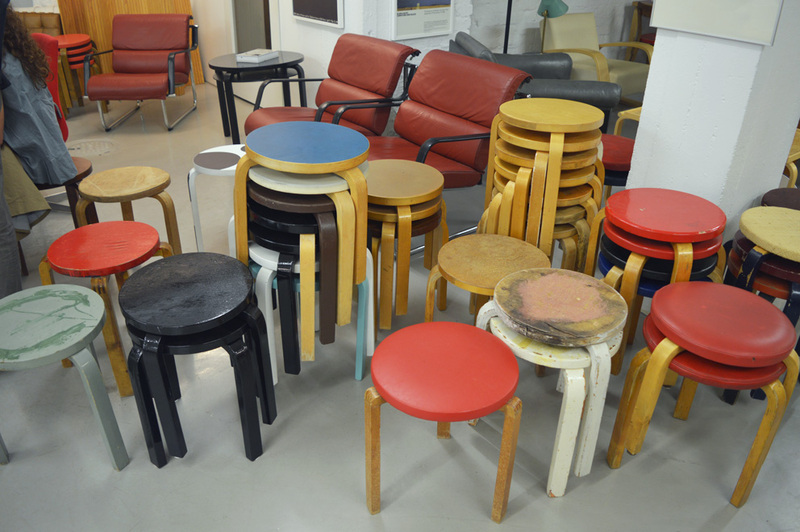 And you can ogle at any number of stools in all manner of colors, the famous tea cart, various lounge chairs, dreamed up not just by Aalto but also by Ilmari Tapiovaara and Yrjö Kukkapuro. 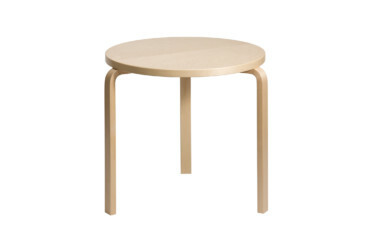 While the current vintage boom may play a role here, the simple fact is that Aalto’s furniture designs have never gone out of fashion, and they most certainly haven’t in Finland. 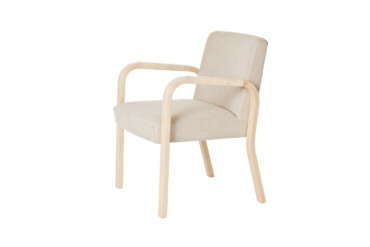 As long ago as 1932 Arttu Brummer-Korvenkontino raved in the Scandinavian magazine “Domus” about the new furniture: “The armchairs are light, exceptionally comfortable, aesthetically appealing and decorative, or to be exact, very French. The room furnishings, in particular if we imagine them together with some modern French paintings on the wall, truly exemplify the style and spirit of the day.” While the pictures on the wall may have changed since, and while France certainly no longer sets the trends as regards art and design, Alvar Aalto’s spirit still seems very much alive in the buildings and furniture.